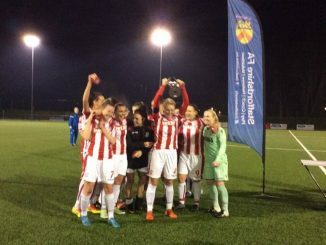 Stoke City went level on points with fifth-placed Nottingham Forest, after defeating them 1-0 away in the FA WPL Northern Division on Tuesday evening. Forest keeper Bec Thomas got down well to deal with a Hannah Keryakoplis strike and then got behind an Emily Owen effort that bounced right in front of her on a very wet surface. Niki Emery got past her a defender on the byline but City goalie Natalie Hall saved the near-post shot. 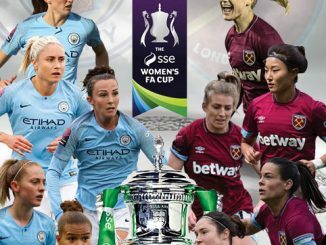 Hollie Gibson fired across the Forest box put her delivery was just behind Rachel Ball, while a free-kick from Keryakoplis evaded everyone and the goal. However, the Welsh international was to get the only goal of the game just before the hour mark. 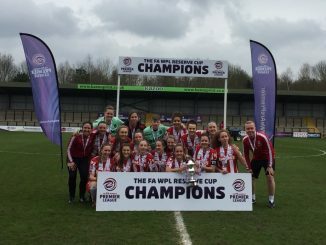 Emily Owen sent a long ball into the box which Thomas could only punch as far as the Potters’ forward and she had time to control it and knock into the far corner. Thomas did well minutes later to deal with a Gibson shot from the left wing but Stoke had done enough to complete a league double over Forest. 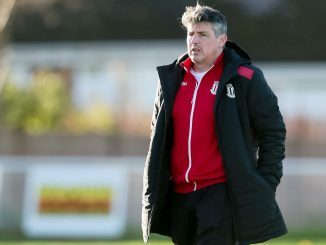 Both sides have big home games on Sunday, as Stoke host second-placed Blackburn Rovers at Norton United FC, while Nottingham Forest take on leaders Middlesbrough, with a 3pm start at Basford United FC.